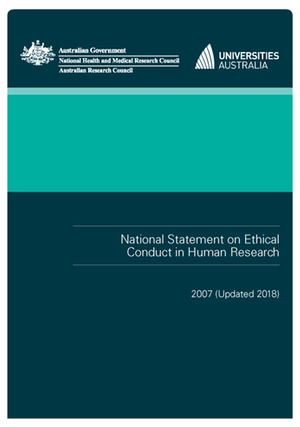 The National Statement is the Australian national reference for human research. It was issued by the NHMRC and has been endorsed by the ARC and UA. The document articulates the four core principles of merit and integrity, beneficence, justice and respect for persons. Specific advice is provided with regard to benefits and risk, informed consent, privacy, methodologies and potential participant populations. 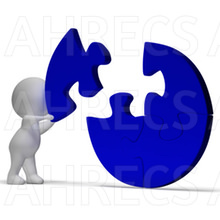 Guidance is also provided with regard to the appointment and operation of human research ethics committees, the conduct of ethical reviews, and the responsibilities of institutions. Even though the document has not been enacted compliance with the National Statement is a strict condition of NHMRC and ARC funding. Since 2014 a joint working group (including appointees from AHEC, the ARC and UA) have been conducting a rolling review of the National Statement. Dr Allen is involved in this rolling review. In 2015-17 a joint drafting committee (including appointees from AHEC, the ARC and UA) drafted changes and addition to the chapters in Section 3 of the National Statement, as well as corresponding changes to Section 5 and the glossary Dr Allen, Prof Israel and Prof Thomson, are involved in this rolling review.